OPEN HOUSE 10/7!Worry Free living at it&apos;s best!One of the best floorplans in Village on the Green! Open floor plan with New Flooring,Updated Kitchen & Updated Bathroom too!Split bedroom plan with a spacious area for dining room! 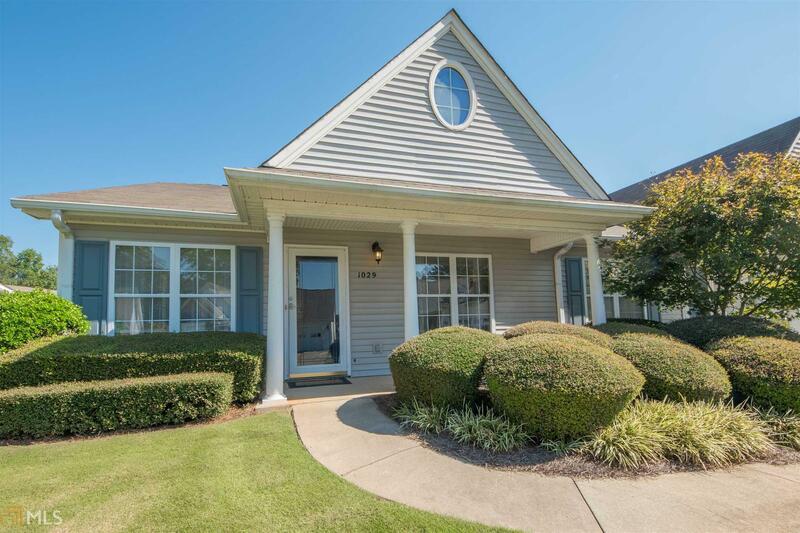 2 Car Garage and Great Storage!This 55+ community is a true village-Low HOA fees takes care of your yard,building insurance,outdoor maintenance (including roof,siding,pine straw & ocassional power washing!). Amazingly neighbors actually watch out for each other!The picket fence takes you back to the good old days of what a neighborhood should be-as does PTC with it&apos;s 100 miles of connected golf cart paths. Village is Literally RIGHT next to Braelinn Golf Club with it&apos;s Pool,Tennis,Golf,Activities & Food!Enjoy the PTC Golf Lifestyle! !